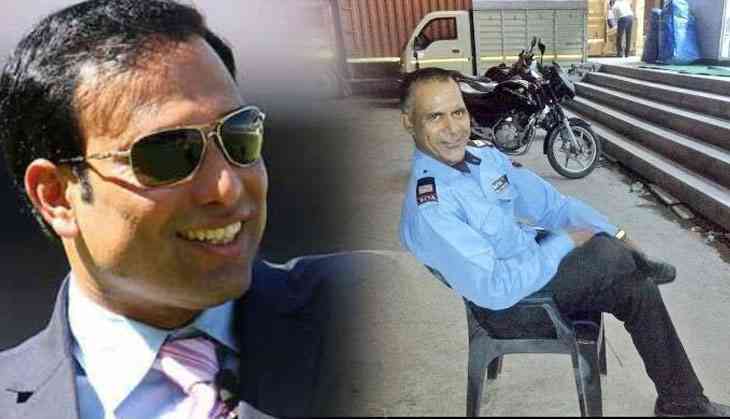 The former Indian cricketer VVS Laxman on Friday shared two photos of an ATM security guard Brijendra Singh, a retired soldier in Dehradun is getting a lot of love and praise online, saluting him for his selfless act of teaching unpriveleged children. VVS Laxman cited that Brijendra Singh continues to serve the nation by teaching the underprivileged kids every evening outside an ATM where he works. The former Indian cricketer VVS Laxman took to twitter and said “Having retired from the army, he still continues to serve the nation, he teaches children from nearby slums in the evenings under the ATM lights. Salute to an incredible man." Very well done✌🏾❤️ Brigendra has served the nation well during his army days and now he is doing extremely valuable social work by helping the youngsters along✌🏾❤️💕 Fantastic! My best wishes and love to hom❤️❤️❤️ Ivan. Exactly . Fantastic job n speechless. Hats off. It was not the first time that the ATM security guard Brijendra Singh was appreciated. His work with kids from the nearby slum first went viral back in 2016. Now Laxman’s post has brought his work to people’s attention again.